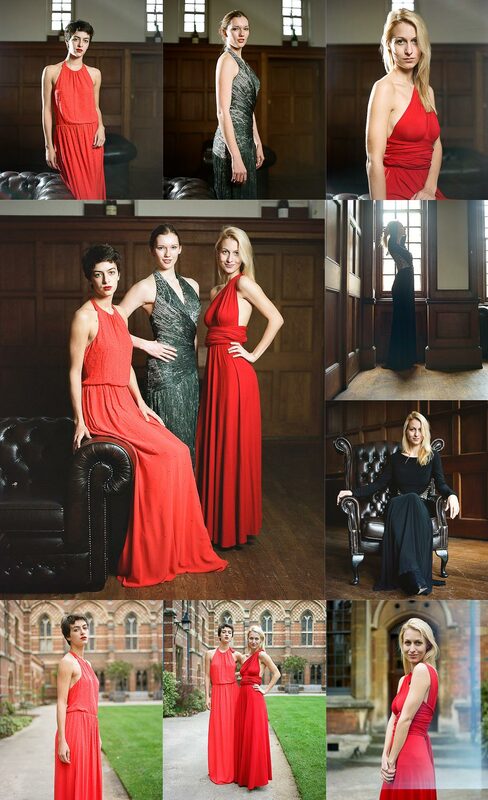 These shots are from the salon day at Keble College that was held by the designer dress company Wish Want Wear. If I had one wish it would be to have had more time to shoot because it really was a case of so many dresses and so little time. I previously posted some of the black & white shots I did there and now here are some colour ones for your viewing pleasure. I usually process and scan all of my own film but processing colour film during the freezing cold winter weather is a bit tricky because of the warm temperature the chemicals need to be kept at and my studio where I do my processing is like a fridge during the winter. That’s why I sent this roll of film away to a lab (Ag Photolab) and I’m very pleased with their scans. 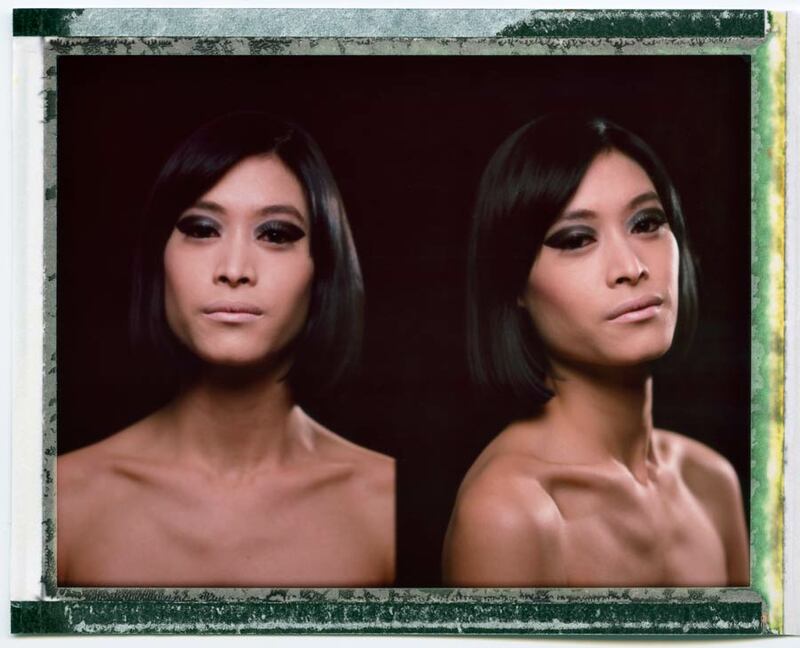 Zero retouching was done to these shots, none! Some more shots still to come. If you’re looking for a ball gown to hire for one of the many upcoming Oxford University summer balls, give Wish Want Wear a look. Hopefully I can work with them again in the future because this was a really fun shoot. The Keble summer ball is on 4th May. See you there. [Tech info:] Mamiya RB67, 90mm f3.8 lens, loaded with Kodak Portra 400NC. The first shot below and the rest were made over a month apart because the camera (a Mamiya 645 Super) jammed after the first frame. It had arrived earlier that morning from a dealer that I purchased it from so fortunately I was able to return it for a refund. The other shots were made with a Mamiya 645 Pro TL on the same roll of film (thank goodness for removable roll film holders). The Pro TL was part of a whole kit which included a 150mm/f2.8 lens which I haven’t come across before so I was keen to try it out. So far I really like it and the shallow depth of field it gives even at f4. It’s a bit on the large size so it tends to attract a lot of attention in a paparazzi kind of way but I can live with that. 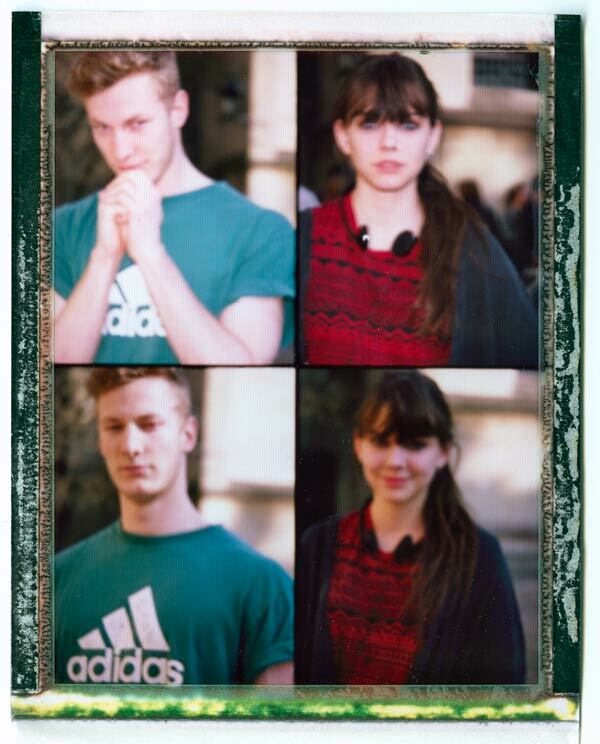 These shots were all made in Radcliffe Square, one of my favourite places for street portraits. [Tech info:] Mamiya 645 (Super & Pro TL), 80/1.9 and 150/2.8 lenses on Kodak TMAX 400 film, processed in Kodak HC110 1:31. Late afternoon light along Broad Street. 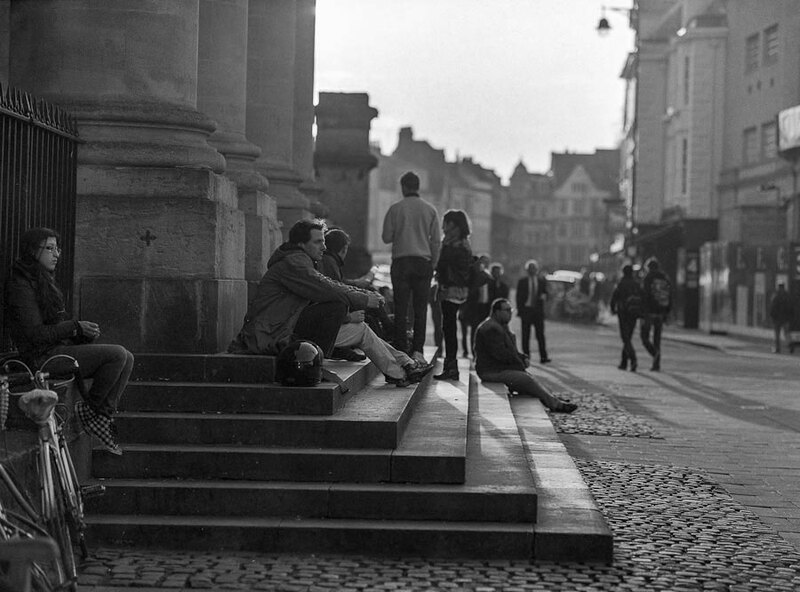 My 150mm lens kept attracting attention so I waited patiently to pick my moment to use the last frame on the roll. Some rolls of colour film that I sent off to a photo lab for processing and scanning a week ago arrived back this morning and it was nice to see shots from lots of different photo shoots among them, mostly from the end of last year. I usually do all of my own processing and scanning but colour is tricky during the winter because the temperature of the chemicals needs to be kept within a very small tolerance (less than 0.5 of a degree) and my studio where I usually do my processing is an ice box during the winter. After building up a small batch of exposed colour film I decided to test out a new lab I had heard about rather than wait until the weather warms up in the spring and because I usually struggle a bit with colour scanning I went for the option to have the lab do it for me. I’ll drip feed the scans instead of cramming them all in together. 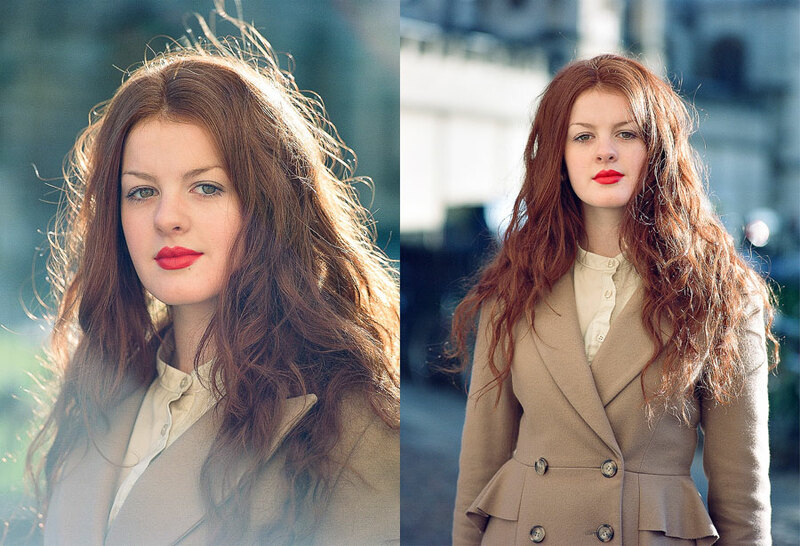 Here are a few shots from a lunch hour shoot I had with Georgina (I think at the beginning of December). We lucked out with the weather and nice wintery sunshine on that day. These were some of the last shots I made and the ones I was most excited to see, especially the two portrait shots where the sun is backlighting but also bouncing off a stone wall behind me to give a soft front light (one of my favourite kinds of light). 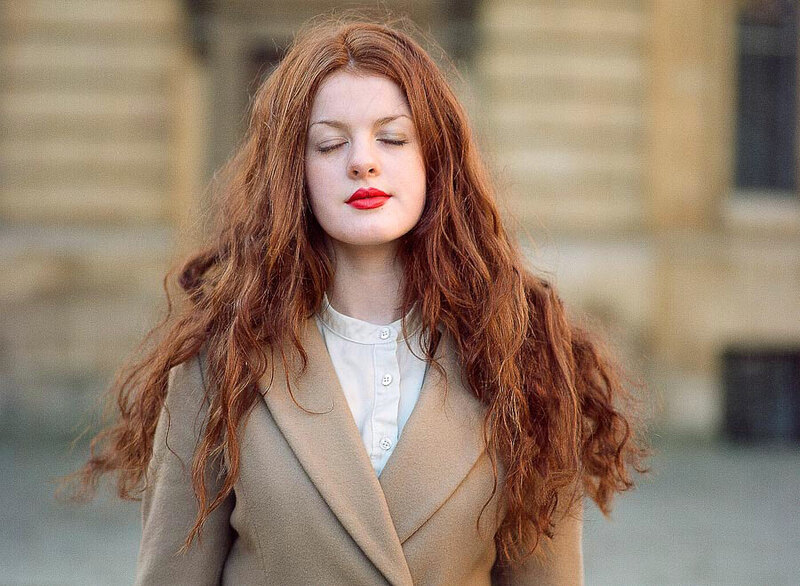 These shots have had zero retouching done to them, one of the many joys of shooting with film. [Tech info:] Bronica ETRSi loaded with Kodak 160VC. One of my favourite kinds of light. In front of the Sheldonian Theatre. 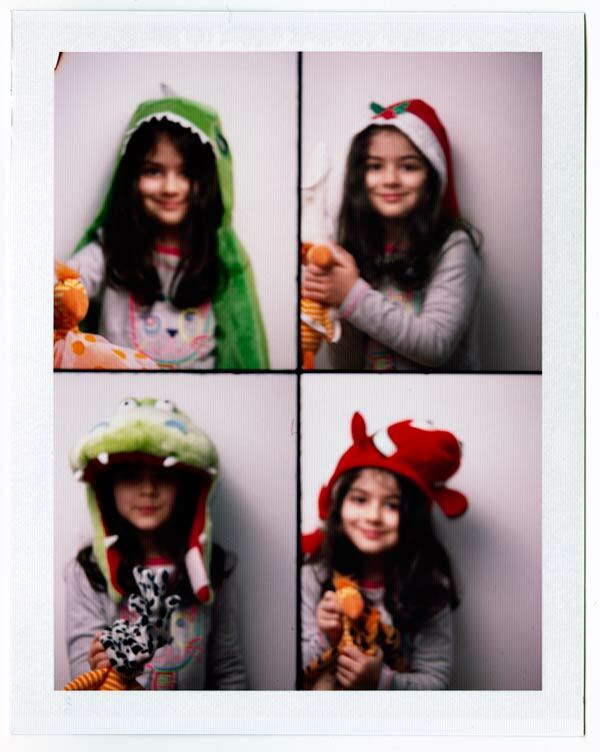 Here are some of my experiments with Polaroid passport cameras. I’ve got two and four lens versions which allow you to either have all of the images on the print be the same or you can make them all different. Something I didn’t realise until peeling these prints was that the lenses are fixed to a focussing distance of 1.2m and even though there is a switch on the four lens version to set it to 1.92m it doesn’t actually move the lenses, you’re meant to attach additional lenses (which I don’t have) to the front if you expect to achieve in focus shots. Now I know! You should be seeing some in focus shots sometime in the future. Top two shots are with flash, bottom two are without. The shot on the left was with an additional lens from a 403R but it has no markings. Shot at 1.2m. Here are some shots from a recent lunch break photo shoot that I had with Jess to test out a new (to me) camera and lens combo that I picked up. Despite the sunny weather that we had on this day I decided to use some fast speed film that you’d only usually use in low light because I already had one roll of it to process and I like to process two rolls at the same time whenever possible. I really like how these turned out with the grain and I can see myself doing this a little more often. [Tech info:] Mamiya 645 Pro TL, 150mm/f2.8 lens, Kodak Tri-X rated at ISO1600, processed in Rodinal (1:50). Here are some shots from a lunch hour photo shoot I had with Chloe a couple of weeks ago on a day where we were lucky enough to have a little sunshine to photograph in. Regular visitors to this blog are probably familiar with the location because I’ve used it a number of times. I like the lines, angles and shadows and I also like the challenge of trying to make good use of the same location. I’m sure there are some great shots still to be made here. [Tech info:] Mamiya RB67, 90mm & 180mm lenses, loaded with Kodak Tri-X, processed in Kodak HC110 (1:31). 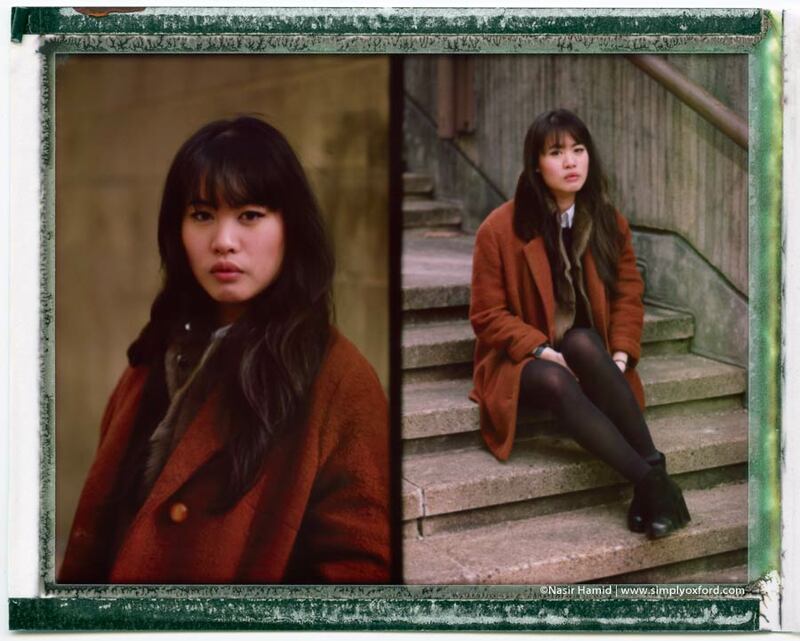 Here’s a Fujiroid from a recent lunch hour photo shoot I had with Sylvia. I also shot some colour film but that has been sent to a lab that I’m trying out so those shots will follow at a later date. You may recognise the location from some of my other shoots and that’s because it’s close to my office and very convenient to walk to. I’ve been trying not to repeat the same shots at this location so it’s a bit of a challenge but I like that. [Tech info:] Mamiya RB67, 180mm/f4.5 lens. 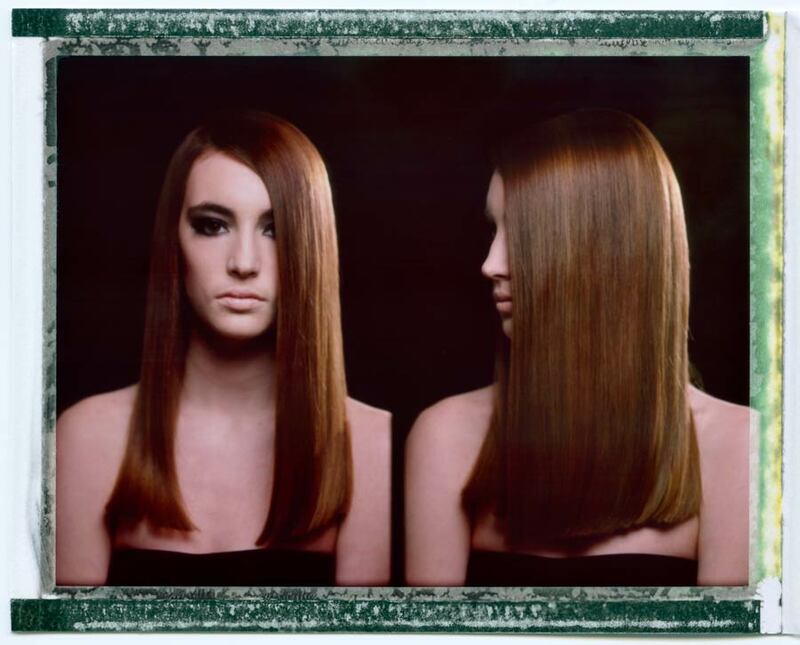 Fuji FP100-C instant pack film loaded into a sliding Polaroid back. 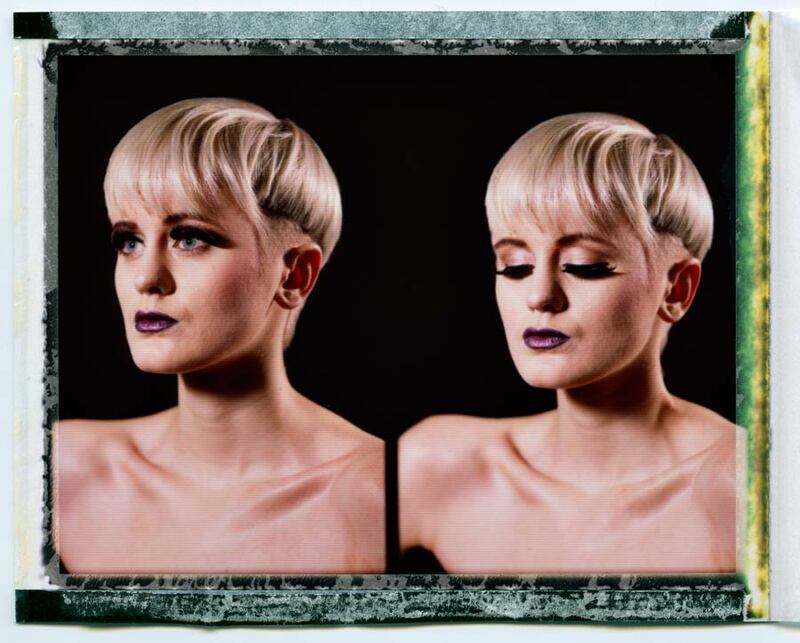 Last weekend I did a photo shoot with the amazing team at Popham Hairdressing on North Parade here in Oxford. They had picked out four of the models that they worked with during Oxford Fashion Week last year and it was nice to see some familiar faces. All of the photography was done in their salon which thankfully has a really high ceiling which was perfect for setting up a boom arm for one of the lights. I shot a mixture of film and digital. 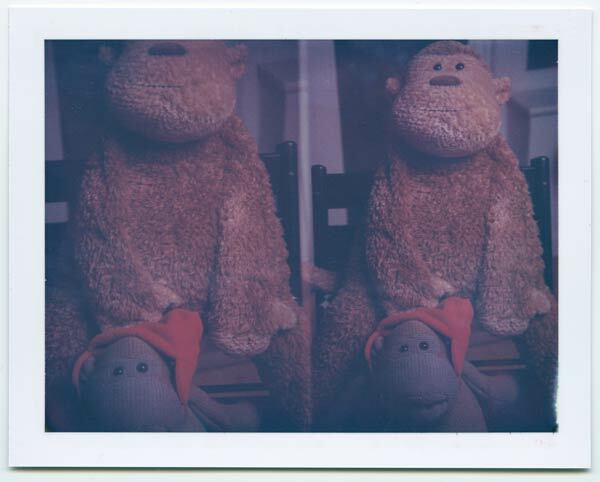 Below are the Fujiroids that I shot with the sliding Polaroid back on my RB67. I also shot some colour and black & white roll film which will follow at a later time. 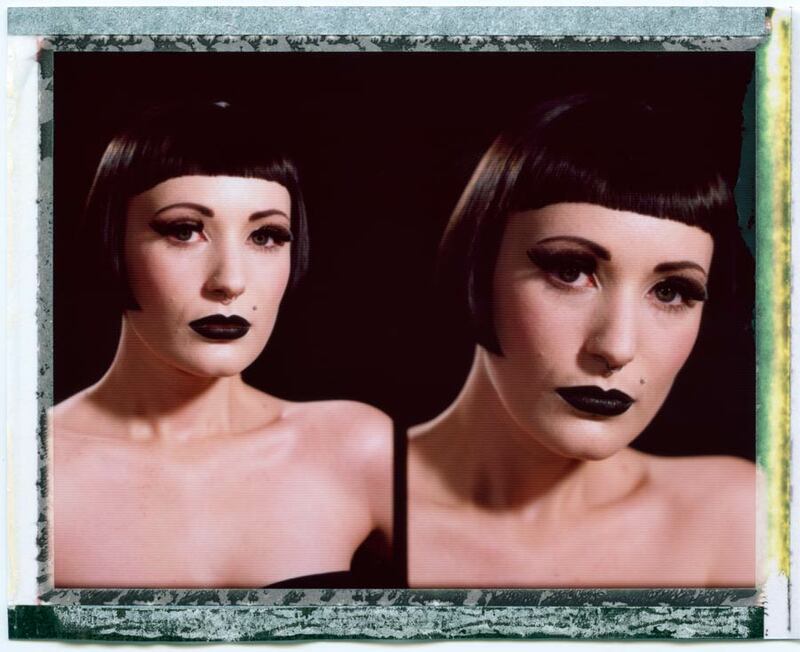 [Tech info:] Mamiya RB67, 180mm/f4.5 lens with Fuji FP100-C loaded into a sliding Polaroid back.